The company behind the Oriental Rose brand builds fiberglass mannequins since 2005; these products are available in Japan, USA, and in Europe. For the presentation of Lingerie, OR Doll started to build female torsos made of TPE. In 2014, Oriental Rose Doll expanded their product spectrum once more and started to develop a life-sized and life-like love doll. The OR-167/G is a life-sized TPE love doll by OR Doll (Oriental Rose). The female doll has a body height of about 167 cm (with head) respectively 150 cm (without head) and weights 42.5 kg (without head) resp. 44.5 kg (with head). Body measurements: 94 cm × 59 cm × 95 cm (B×W×H) / 71 cm (under bust) / 38 cm (shoulder) / 21 cm (feet). The appearance of this doll may be customized with different eye colors, skin tones, hair color, and hair lengths. The OR-167/D is a life-sized TPE love doll by OR Doll (Oriental Rose). The female doll has a body height of about 167 cm (with head) respectively 147 cm (without head) and weights 32 kg (with head) resp. 30 kg (without head; manufacturer specs). Body measurements: 77 cm × 54 cm × 80 cm (B×W×H) / 58 cm (under bust) / 32 cm (shoulder) / 86 cm (leg length) / 44 cm (thigh cicumference) / 20 cm (feet). OR-156/H aka Molly is an almost life-sized TPE love doll by Oriental Rose (OR Doll). The female doll is about 156 cm tall (5.15 ft) and weights ca. 31 kg (without head, according to the manufacturer's specification). Body measurements: 98 cm / 38.58" (breast circumference) / 59,5 cm / 23.42" (waist) / 86 cm / 33.86" (hips). The OR-156/E is a life-sized TPE love doll by OR Doll. The female love doll has a body height of 156 cm and weights 27,5 kg (without head, according to the manufacturer's specifications). Body measurements: 79 cm (breasts), 53 cm (waist), 82 cm (hips). The first head accompanying the OR-156 body style was Sara with Eurasian facial features; Sara is supposed to have a French father and a Chinese mother. The Sara head sculpt was followed by Rose, a Caucasian face with nordic facial features. The looks of both heads can be customized with different eye colors, skin tones, hair colors and hair lengths. The OR-156/B is a life-sized TPE love doll by OR Doll. The female love doll has a body height of 156 cm and weights 26 kg (according to the manufacturer's specifications). Body measurements: 71,5 cm (breasts), 54,5 cm (waist), 80 cm (hips). The first head to accompany the OR-156/B body style was Sara with Eurasian facial features; Sara is supposed to have a French father and a Chinese mother. The Sara head sculpt was followed by Rose, an Caucasian face with nordic facial features. The looks of both heads can be customized with different eye colors, skin tones, hair colors and hair lengths. OR-156/F is a medium-sized TPE love doll by Oriental Rose (OR Doll). The female doll is 156 cm tall and weights 27,5 Kilogramm (without head, according to the manufacturer's specifications). Body measurements: 85 cm (breast circumference) / 56 cm (waist) / 82 cm (hips). The OR-156/F has a metal skeleton with joints; the body is as well flexible as photogenic. The range of possible movements is demonstrated in this video about OR Doll OR156. 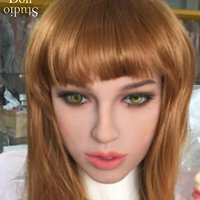 The OR-156/D is a life-sized TPE love doll by OR Doll; the female love doll has a body height of 156 cm and weights 27,5 kg (without head). Body measurements: 80 cm (breasts), 56 cm (waist), 82 cm (hips). The OR-156/D body style features a metal skeleton and joints; the body is quite flexible and photogenic attractive. The full range of movements in demonstrated in the OR Doll OR156 with Sara head video. OR-023 (Jinshan no. 88) is a female head by OR Doll. The head is made of TPE. OR-024 is a female head by OR Doll. The head is made of TPE. OR-031 (Jinshan no. 137) is a female OEM head by OR Doll. The head is made of TPE. Head No. 191 (Jinshan no. 191) is a female OEM head by OR Doll. The head is made of TPE. Head No. 94 (Jinshan no. 94) is a female OEM head by OR Doll. The head is made of TPE. Head No. 190 (Jinshan no. 190) is a female OEM head by OR Doll. The head is made of TPE. OR-025 aka Teagan (Jinshan no. 138) is a female head by OR Doll. The head is made of TPE. Head No. 171 (Jinshan no. 171) is a female OEM head by OR Doll. The head is made of TPE. Head No. 164 (Jinshan no. 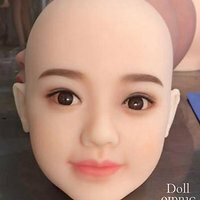 164) is a female OEM head by OR Doll. The head is made of TPE. Head No. 150 (Jinshan no. 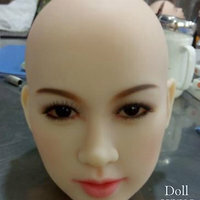 150) is a female OEM head by OR Doll. The head is made of TPE. The Female Torso H by OR Doll is something special: It has a connector for a head, but is available without a head as well. Compatible heads are Sara and Rose by the same manufacturer; these heads are compatible as well to the life-sized doll OR156. 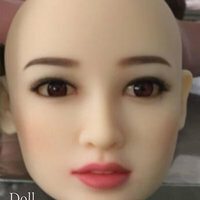 This torso enables you to enter the world of life-like TPE dolls for small money; if you like it, you can later "upgrade" to a full body is continue to use the head. The torso has a legth of 68 cm (without head) resp. 91 cm (with head) and weights 18 kg. Boy measures are: 93 cm / 34H Cup (breast) × 60 cm (waist) × 95 cm (hips). 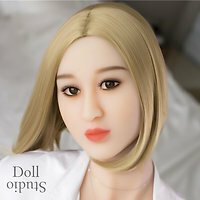 The Female Torso J by OR Doll is something special: It has a connector for a head, but is available without a head as well. The torso has a legth of 68 cm (without head) resp. 91 cm (with head) and weights 18 kg. Body measures are: 95 cm / 32J Cup (breast) × 60 cm (waist) × 95 cm (hips).